Booking is easy, all you need to do is choose where you’d like to stay, either Briars Cottage or Briars Loft, then click on the Green (Cottage) or the Orange (Loft) BOOK NOW buttons at the bottom of the page. Then choose the date you’d like to stay and the option you need i.e. 1 bedroom or 2 bedrooms. Please note that both the Cottage and Loft are a fully self-contained cottages, so if you only need one bedroom, then the second bedroom and bathroom will be locked, and we won’t charge you for that room. All bookings must be confirmed with a minimum of a 50% deposit upon booking, deposits are non-refundable. 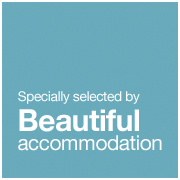 Our system will prompt you to pay the deposit on booking, this can be done via credit card. We use Little Hotelier’s integrated PCI-DSS compliant gateway to ensure your details are secure. The 50% balance of your payment is due 7 days before your arrival date or the booking may be cancelled. We will contact you closer to the time with payment options. Payment of the balance can be made with your securely stored credit card details via Little Hotelier’s Payment gateway, or via a PayPal invoice (which also includes our banking details). In exceptional circumstances, and with sufficient notice, we may offset deposits already paid against a future booking. We’re unable to take tentative bookings or “hold” dates on a guest’s behalf. Payments may be made using Internet banking direct deposit to “Briars – Daylesford”. Contact us for our bank details. Reasonable costs for any repair or replacement of any property lost, missing, damaged, removed or additional cleaning. WHAT IF OUR FRIENDS JOIN US FOR A NIGHT? If you have only booked the one bedroom option then the second bedroom will be locked. It would be helpful to let us know upfront if other guests are planning on staying, so we can prepare the cottage accordingly. We cannot guarantee that the locked second bedroom has been cleaned & set-up without notice. Please do not exceed the maximum number of guests allocated to the particular bedroom set-up – for health, safety, utilities and insurance risks. DO YOU ACCEPT A ONE-NIGHT BOOKING? Yes, we allow you to book for one night for Sundays through to Thursdays. However we do have a two night minimum on weekends either Friday & Saturday or Saturday & Sunday. Occasionally we may have a single Friday or Saturday that can be booked depending on other previous bookings. Please check our website. IS THERE A MINIMUM STAY ON PUBLIC HOLIDAYS AND LONG WEEKENDS? Yes, during peak periods like long weekends, we require a minimum 3-night booking. Some long weekends may attract a 4 night minimum. Check in is 3pm. 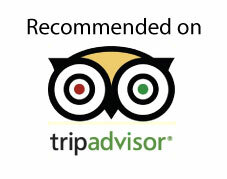 However, if there are no guests vacating the cottage the day you arrive, we will do our best to let you in earlier. Check out is 11am. – as we need to clean and prepare for the next guests and that can take up to a couple of hours, we can’t offer or guarantee a late check-out. The keys are in a Masterlock key safe at the front door. On the day of check-in, we will send you an SMS to your mobile phone with the code to access the keys. Please leave the keys in the Masterlock and rotate the numbers when you check-out. DO WE NEED TO BRING OUR OWN LINEN, SHEETS AND TOWELS? No, we provide all the bed linen (including sheets, pillows, doonas and blankets). We also provide all the towels for the bathroom and tea towels for the kitchen. Yes, we provide complimentary teas, coffee, hot chocolate and sugar. We also provide long life milk. There is also a selection of spreads, sauces, oils, herbs & spices. We don’t provide breakfast – the cottage is self-catering so you can choose to eat in, using the fully-equipped kitchen or eat out. Daylesford and Hepburn are foodies Heaven, so there’s not of shortage of great places to eat, drink or be entertained. The Things to do link & the guest book in the cottage provides some suggestions. Yes, we supply soap for the bathroom, laundry and kitchen. We also provide shampoo, conditioner & moisturiser. The cottage has a flat-screen TV in the lounge room, there is also a DVD player and a small CD player/radio. We’ve provided a selection of DVD’s for you to enjoy. No – however there are a number of local cafes and pubs that offer Wi-Fi. IS THERE HEATING AND COOLING? Yes, there is gas ducted heating & an air-conditioner, plus each bedroom has its own air-conditioner. DO THE BEDS HAVE ELECTRIC BLANKETS? No, unfortunately we are unable to accommodate any pets. IS THERE A LAUNDRY IN THE COTTAGE? There is a full euro-laundry with a top-loading washing-machine, tumble dryer and sink. Laundry liquid is also provided. 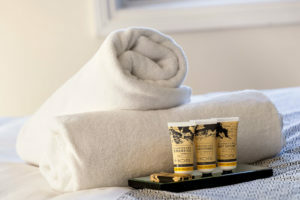 No, we don’t come into the cottage daily and do a clean, however can organise a mid-stay clean for longer stays. The distance from Melbourne CBD is approximately 110km northwest, which takes about 90 minutes by car travelling on either the Calder Highway or the Western Highway. WHERE ARE BRIARS COTTAGE & BRIAR LOFT LOCATED? The cottage is approximately 1.6km between Daylesford and Hepburn Springs, and is only a 3-minute drive from the centre of Daylesford. There is a shared walking and bike path between the towns, as well as bus and taxi services. Briars Cottage is located at 24 Hepburn Rd, at the bottom of the driveway. The cottage also has signage indicating that it’s Briars Cottage. Briars Loft is located at 26 Hepburn Rd, at the top of the driveway. There is signage indicating that it’s Briars Loft. AM I EXPECTED TO CLEAN THE PROPERTY BEFORE I LEAVE? No, however we kindly ask that you leave the property in a neat and tidy fashion, with dishes washed and dried and everything in its original place. WHAT IS A CODE RED FIRE DAY? These are the worst conditions for a grass or bush fire. Homes are not designed or constructed to withstand fires in these conditions. Ratings are forecast using Bureau of Meteorology data for up to four days in advance, based on weather and other environmental conditions such as fuel load. The rating is your prompt to take action to stay safe. If you are travelling to Daylesford during summer, we recommend you download the FireReady app to your mobile device and also tune in to AM 774 for updates or keep an eye on the CFA website when a fire of any magnitude is present in the area, if you have already checked in. or you can call us on 0408 876 022. Please contact us on info@briarscottage.com.au or 0408 876 022 if you have any other questions – we’re here to help.